PLEASE CALL OR EMAIL US FOR LATEST PRICE. This 65 Convertible offers the best of both worlds: fishing and cruising. With its luxurious "Italian taste" interiors thanks to the decor input of the owner's wife, this boat is everything except a blood-covered fishing machine: we managed to have the boat fish only during one local Hatteras Fishing Tournament here in the Mediteranean, where after that never fished again! Plus her drydocking storage under cover for the annual wintering, leaves her in "better then new" conditions! As her seaworthiness... its a pure Hatteras ride! Her twin reliable CATs 1400 HP gives her a cruisng speed of a clean 28 kts at 2000RPMs and a top spead of 32.1 kts at WOT. And this is done in ANY KIND OF SEA in total comfort and safty! Originally launched on late 2002, this splendid Hatteras 65 Convertible has only 1300 hours on its twin CAT 3412E 1400s and has been meticulously kept by full time captain every since. Being originally commissioned for an European owner, the vessel is CE Certified and built with full 220V/50Hz electrical systems. Numerous upgrades and improvements installed in the latest years, including new electronics, new stern thruster, new solar panel battery charger, new inverter system, new tender, and much, much more! N.B. This Hatteras 65C was sold as a new-build by our company and were involved in the construction supervision plus delivery of the vessel to its current owners. Full technical details and more photos available upon request. We have over 18+ years of experience dealing directly with shipyard. The support we can offer to a buyer is without doubts an added value in the choice of their ideal Hatteras or Cabo Yachts in any international market around the world. Since 2001, we have successfully managed the sale and/or the construction of over 100+ custom Hatteras & Cabo Yachts for clients in Europe, Asia, and the Middle East. SYS Yacht Sales is pleased to assist you in the purchase of this vessel. 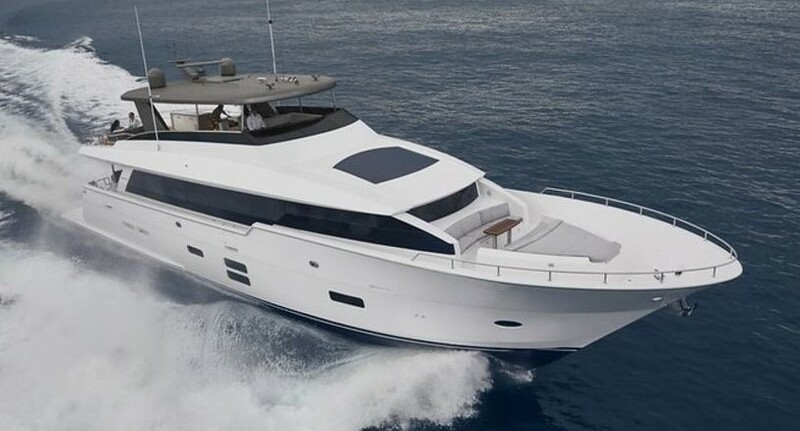 This boat is centrally listed by AQVALUXE YACHTS.